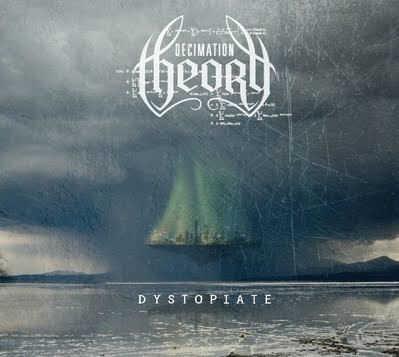 Decimation Theory, from Houston, are a five piece of melody mingled with brutality. These boys are the new breed of Heavy Metal mixing the spirit of old school thrash with the newer elements of As I Lay Dying, In Flames, and the like. The title track opens with a classic Bay Area riff coupled with a thunderous double kick, brought by Aaron Smith, then slams into a melodic groove that won’t let go. This sets the pace for the entire five track album. The dual guitar assault by Ansley and Tristan take note from the Downing/Tipton marriage that brings power to each track, but the difference here is the melding of a 90s Gothenburg melody a la early Soilwork/In Flames. Ian Arocha’s vocals are reminiscent of a style introduced by Randy Blythe of Lamb of God. Adam Stelly rounds out the bottom end with an unmatched, steady rhythm. There is another quality to these songs that are missed with most of the “play loud and scream” acts that plague the scene…there are actual solos that are brilliantly blended with the songs. The entire album is a journey through soundscapes such as this. There are only five songs on this album, but it warrants the attention of any fan. Dystopiate is a must have for both those into the retro thrash movement, and those that lived it the first time.